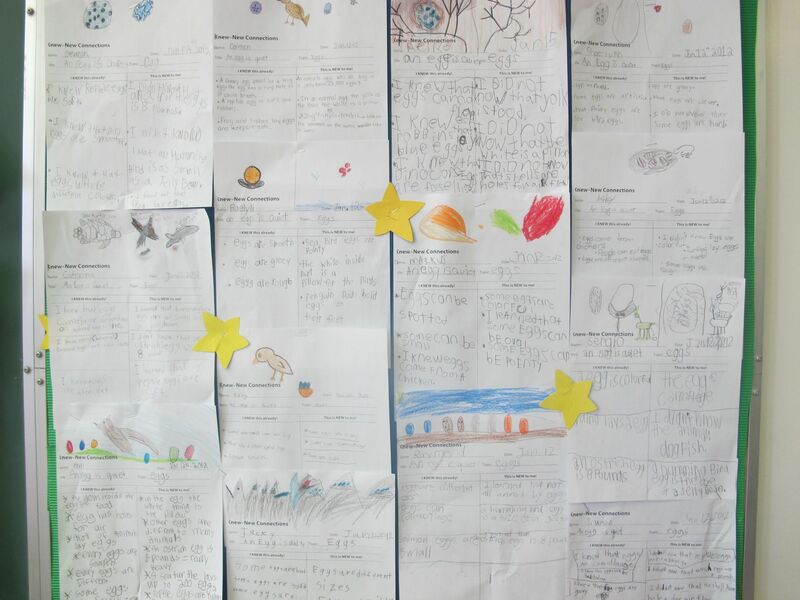 We are studying birds but I am very mindful of student interest as we decide on what to learn more about. Last week we read a book about birds and their nests and students were fascinated by the stunning blue of a robin’s egg. 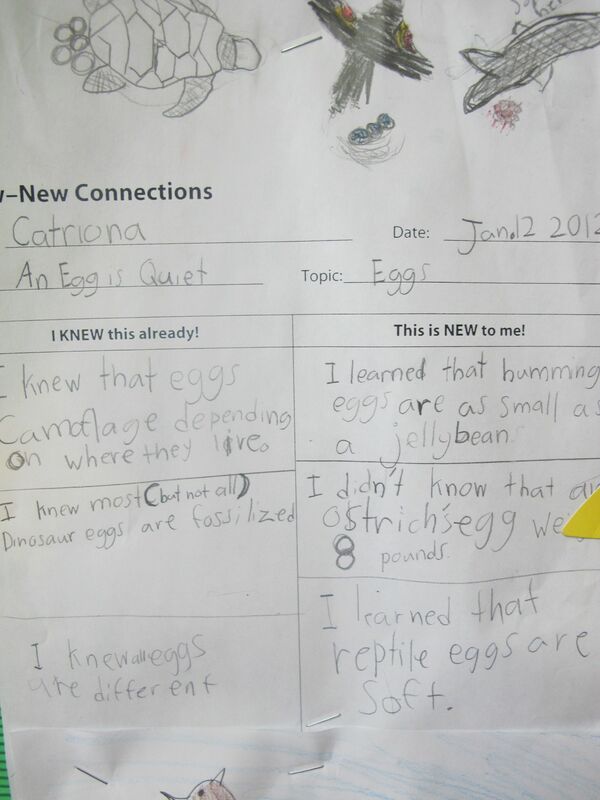 Most students wrote about it when asked to write about something new they had learned. So. . . 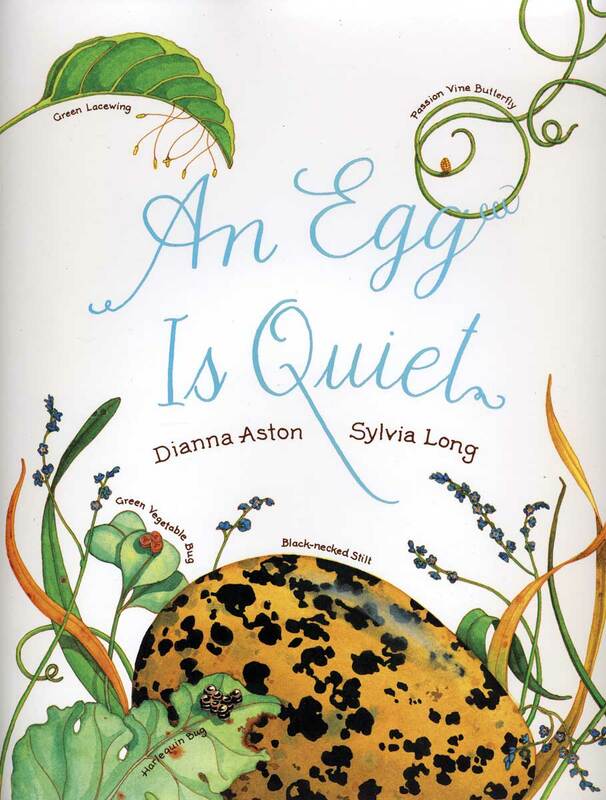 I decided that Dianna Aston and Sylvia Long‘s exquisite book An Egg is Quiet was a must read. 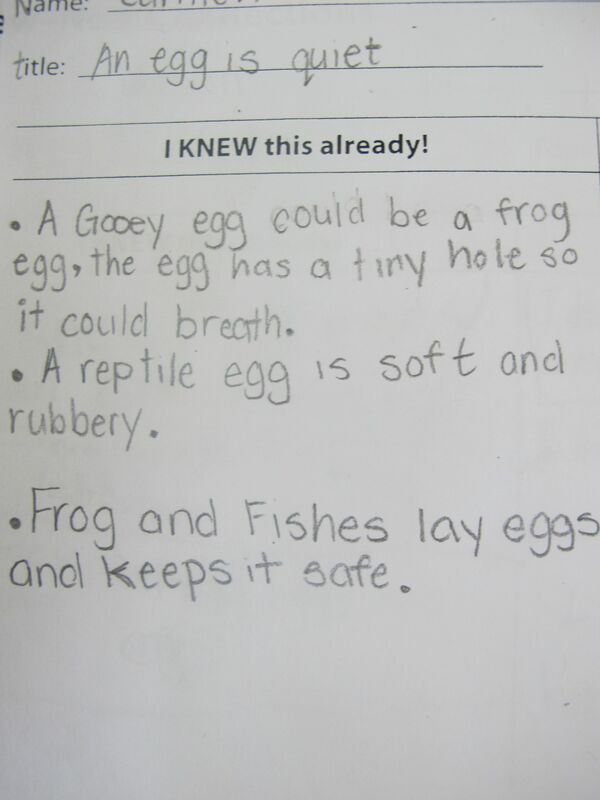 Students were fascinated to learn many new things about eggs – including that many creatures hatch out of an egg, not just birds (reptiles, insects, fish, etc). Sylvia Long’s gorgeous illustrations had everyone mesmerized. With many pages we just gazed at the pictures and chatted to our neighbour about our observations and questions. 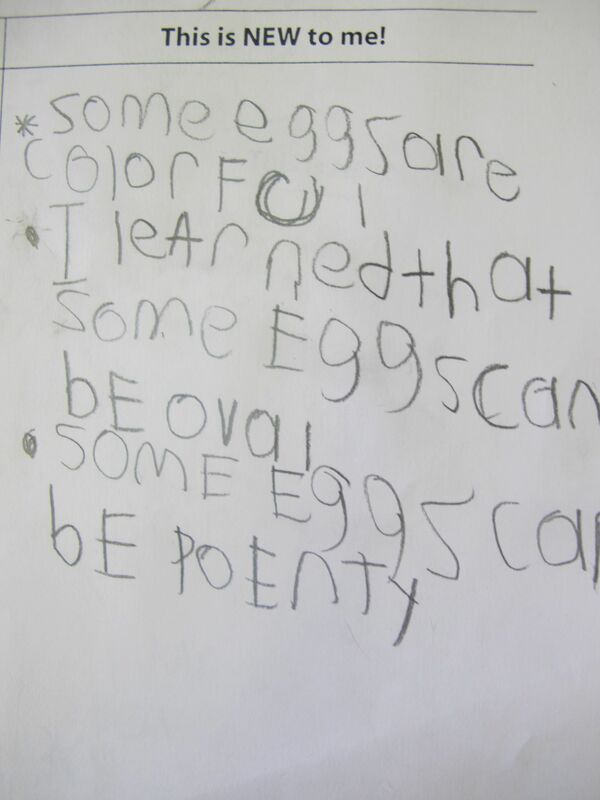 Sharing was fascinating and we all learned to look at eggs a little differently from each other. Colours, specks, stripes! 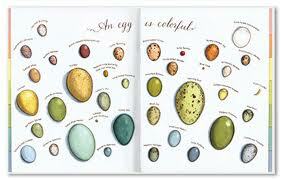 Eggs can be so different! We saw eggs that looked like chocolate (a paradise riflebird), eggs that looked like they were covered with sand (a scarlet tanager), eggs that shone (Atlantic salmon) & eggs that looked to be entwined in vines (a common murre). Then . . . fossilized eggs and tubular eggs and eggs that are perfectly round (Kemp’s Ridley Sea Turtle). Carmen shared what she already knew. What I love about this activity is that sharing on the Knew/New sheet allows students to honour prior knowledge, acknowledge new knowledge and start from anywhere. There are no right answers or essential facts – just a sharing of a knowledge base being extended. We spent over an hour with this book and doing our writing and everyone was very engaged. Later, I saw students reading the sheets posted up on the bulletin board and talking about what other students had chosen to highlight. An exciting afternoon learning about how unique, beautiful and fascinating eggs can be! A wall of learning shared! This entry was posted in Non-fiction and tagged Adrienne Gear, bird books, Dianna Aston, favourite illustrators, great read alouds, nature, picture books, science, Sylvia Long by carriegelson. Bookmark the permalink.